How often are you working with a patient with hearing loss who says “My son wanted to come with me to today’s hearing aid fitting but he had to work”, or “My daughter lives out of state and can’t join me for today’s appointment”. As we aim toward successful implementation of family-centered care, sometimes, even our best intentions fall short because of the reality of life. While we may encourage our patients to bring family to their audiology appointments, it may just be an impossibility due to schedules, distance or even illness. In reality however, this is, in fact, a great opportunity to practice FCC even when obstacles are present that would appear to prevent it. Let us use technology to invite the family into the room and increase our successful embracing of FCC. 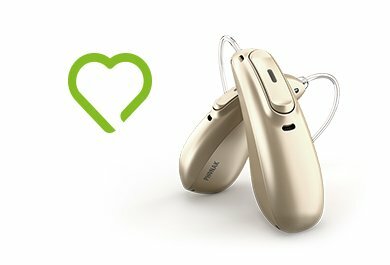 Recently, Phonak created two expert panels on topics relevant to the practice of audiology: FCC and eAudiology. The FCC panel, charged with developing and disseminating information on this concept, had the goal of increasing the inclusion of family in practice (Singh, G. et al 2016). The eAudiology panel developed a consensus statement that included recommendations for integrating eAudiology as a means to reach new patients, enhance patient care and increase value of audiology services (Montano, et al, 2018). We now have the opportunity to combine the goals of both these groups and encourage the use of technology to invite family members to participate in our audiology appointments. I recently had a patient seen for a hearing aid consult and fitting who was accompanied by his wife and adult son and daughter. Family was actively involved in every aspect of his care. After the follow-up appointment was scheduled, his daughter fell and broke her leg, making it impossible for her to attend the meeting. He asked if we could call her on the telephone so she would be able to participate. I agreed and, instead of merely calling her on the telephone, I suggested we use FaceTime since both parties had Apple smartphones. The result was her active participation in her father’s hearing aid follow-up appointment. In real time, she offered him praise and support for the success he was having with his hearing aids. It was truly rewarding to observe both of them smiling. Once we have invited our patients to include family in our consults, we have a solution to offer when schedules and distance prevent this from happening. Today most individuals have access to some version of video conferencing whether it is Skype, WhatsApp or FaceTime. Suggest to your patients that you can arrange for family to participate in their consultation using distance support. Schedule a time, coordinate the video technology, make the call and welcome family into the appointment. It is really quite easy and convenient. The result will be an improved experience for all: the patient, the family and you. Try it tomorrow! To find more information and learnings that facilitate remote support of audiological rehabilitation, we invite you to visit our eAudiology webpage. For resources that facilitate a family-centered care approach, please visit our FCC webpage. Montano, J., Angley, G., Ryan-Bane, C., Ryan-Bane, C., Campbell, W., Eikelboom, R. , Gerlach, A., Glista, D., Muñoz, K., Jones, C., Ferguson, M., Swanepoel, DW., Buerkli-Halevy, O., Singh, G., Omisore, D., Schuepbach-Wolf & Julita, F. (2018). eAudiology: Shifting from theory to practice. Hearing Review ;25(9):20-24. Singh, G., Hickson, L., English, K., Scherpiet, S., Lemke, U., Timmer, B., Buerkli-Halevy, O., Montano, J., Preminger, J., Scarinci, N., Saunders, G., Jennings, M.B., & Launer, S. (2016). Family-Centered Adult Audiologic Care: A Phonak Position Statement. Hearing Review;23(4):16. No comments on “Family-centered care (FCC) and eAudiology: the marriage of concept and technology”, yet. 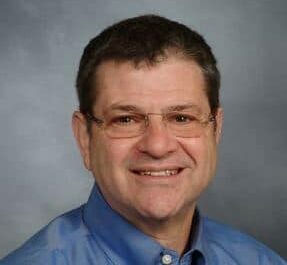 Joseph, Ed.D., CCC-A is a Professor of Audiology in Clinical Otolaryngology at Weill Cornell Medical College and Director at the Cornell Hearing and Speech Center. He is also a member of the Phonak Expert Circle on Family-Centered Care. eAudiology is a new frontier and graduate training programs can help prepare students to enter practice ready to meet this emerging opportunity.